Indian Ethnic Wear is appreciated not only in India but also across the globe. Traditional clothes have a wide audience which includes Indians staying abroad. With the increasing demand and gaining popularity of Indian Ethnic Wear, designers in India are coming up with extra ordinary creations and styles. Women from the ages of sixteen to sixty love ethnic wear as it offers you a unique style statement as well as comfort. Right when the online shopping trend is growing by leaps and bounds, NDTV group has come up with an e-commerce venture - Indianroots. Indianroots is a leading online shopping site which aims to provide Indians staying abroad a sense of connectivity to Indian culture. They have India's best designers and finest craftsmen to deliver everything which will make you feel at home. Be it high-end designer wear like sarees, kurtis, lehengas, salwar kameez, fusion wear or something for home like home decor, home lenin, stationary or accessories which include jewelry, bags, wraps etc. Indianroots brings it all at one place to give a treat to all the global Indians. It is now quite easy to buy Indian wear from any part of the world or send gifts to your family and friends worldwide. Do you want to experience a virtual shopping from home away from home? If yes, then Indianroots is the right place to shop at! There are a whole lot of famous designers involved with Indianroots. They have some amazing designers like Sabyasachi who is well versed in giving international look to Indian wear. It's no exaggeration to say that every bride would dream to be in a Sabyasachi creation on her wedding day. Indianroots has a variety of lehengas, sarees and anarkalis by Sabyasachi which can be yours with just a few clicks. 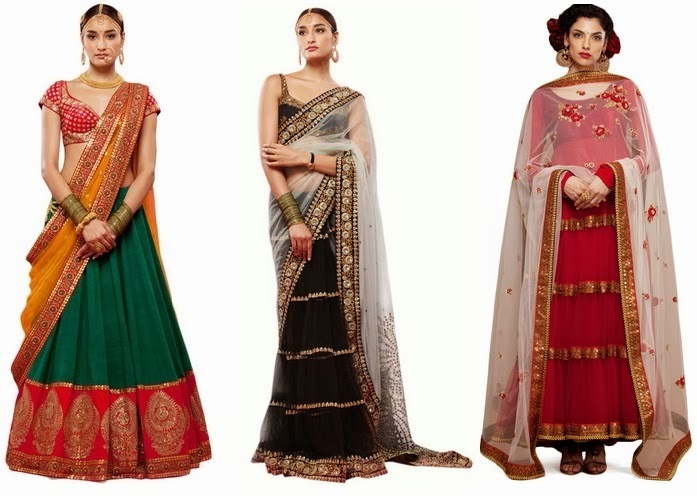 You can also take a look at the style guide on how to look like a Sabyasachi bride. Amazing, isn't it? The collection of Masaba, India's famous designer in Bollywood is quite famous. The clothes which you spotted on many bollywood celebs like Sonam Kapoor, Mandira Bedi, Shilpa Shetty and Soha Ali Khan can be purchased here at IndianRoots. Get yourself a Bollywood feel by picking up some wonderful pieces of Masaba. Indian designer Rohit Bal is widely known for his sophisticated cuts and breathing fabrics. When it comes to fashion, he is a stitch ahead of time. He works for both women and men and has subtle colors which you would surely love. Indianroots showcases the best of womenswear, menswear and accessories by Rohit Bal. This collection can be a perfect start for your shopping spree! Coming to the brands, there are too many well acknowledged brands associated with Indian Roots. This is definitely a one-stop destination for all the designers and brands you want to look for. It is not just about high-end brands and designers, but there are lots of brands in lesser price range which you can shop for your daily use. Not only women but also men can experience a fascination collection at Indian Roots. Men's jackets, accessories, kurtas, sherwani etc. you have all one place. If you think this site is all about clothes, then you are wrong. They also have new collection of home and living to give your house Indian look and feel. Enhance your home appearance by shopping at their home and living section. IndianRoots gives free shipping globally for any order above $100. So irrespective of where you are, you are bound to receive your package once the order is placed. There are several payment options at IndianRoots such as credit card, debit card, paypal etc. with a secure payment gateway. All the designer products will be sold with the label of designer to assure its authenticity. And not to forget it is an NDTV venture. So you can drop all your apprehensions and shop happily! What are you waiting for? Experience the best Indian culture and heritage with mind-blowing range at IndianRoots. You can be up-to-date about their latest collection on their facebook page here. Happy to see this online shopping:-) Thanks for sharing lavanya. I love their collection. Its great to see such an online initiative making designer clothes accessible! Totally loved it....cant agree more! 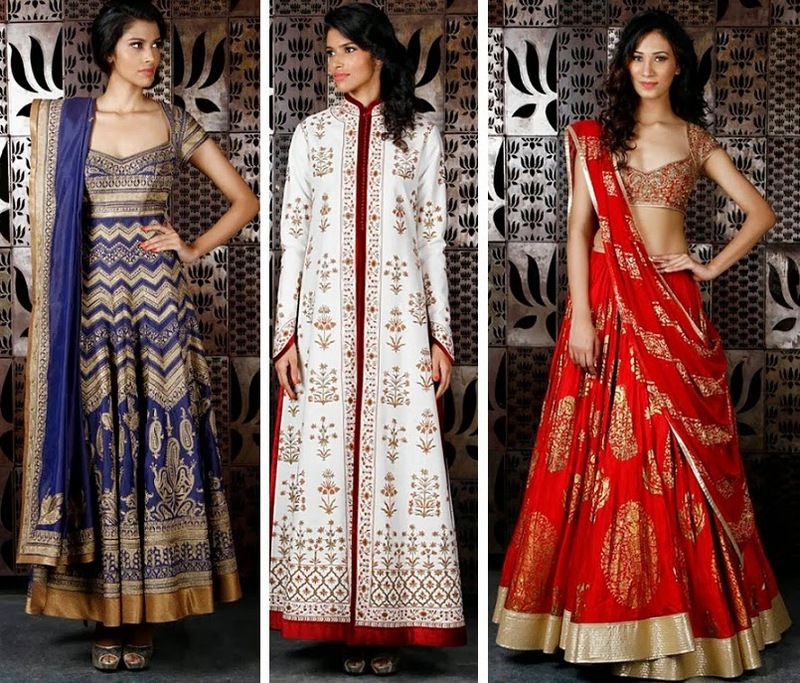 Awesome lehengas and sarees! Thanks for sharing!!! This site looks amazing, such awesome varieties to choose from, I'm gonna check this out. I didn't appreciate the beauty of ethnic clothes as a child, but I absolutely love them now. Indian traditional outfits are gorgeous and very feminine! Wow such a stunning collection!!! I would love to shop from here!!! I think Indianroots is one such shopping website that has a very good customer care service. The executives are very helpful and they quickly resolve the queries of the customers. I am saying all this by my personal experience. I think this is a big sign of a reliable shopping website. Good work Indianroots!!! I am totally satisfied with this website. The stuff that they delivered is totally amazing. Great e-commerce website, easy to maneuver like a marketplace that sells everything from traditional wear to accessories to home decor. Keep up the good job! I personally like Indianroots because of their customer service. The end of year sale provided by Indianroots is wonderful and eye catchy.The offer that they are providing is just too good that no one can stop himself or herself from buying stuff from here. Indianroots is a very famous website for woman’s fashion. I bought some items from Indianroots.com, I am very much satisfied with quality and prices. Shopping is the favourite passtime of all the girls and if all the sites provide sale be it winter sale, end of season sale girls go mad.So is the case with me I love buying clothes online. 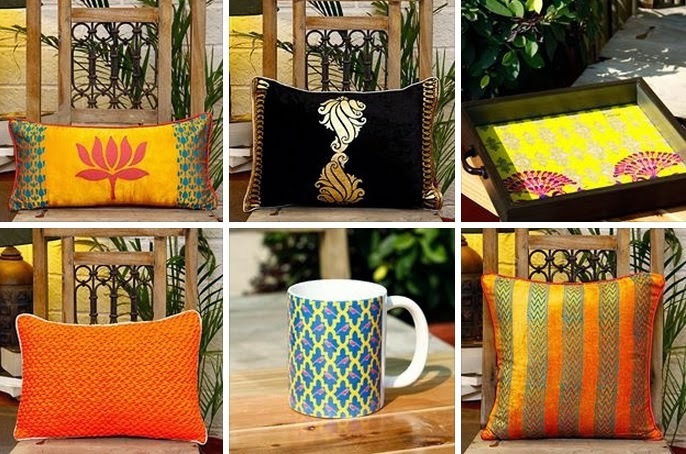 Since I am a regular visitor of Indianroots and I often buy everything from here be it clothes, accessories, home decor or clothes for my son and husband...I can say this is the only site which assure quality as well as price to their customer. Now a day’s many shopping website's are available, But few website have great service as well as great product. Indianroots is one of them. It is really great place for online shopping. The chic fiesta sale upto 70% is amazing and eye catching. I brought some jackets and waist coats from Indianroots and they were amazing. Recently I wore the waist coat along with my dress at the lohri party and was complimented by. Everyone’s eyes were on me and everyone was eager to know from where I brought that waist coat from. I told everyone about Indianroots and they were glad to about it. Thank you Indianroots for providing such lovely stuff. I do a lot of shopping from Indian roots and it’s just amazing to shop from Indianroots .Clothing is very nice. We get to see new styles and new trends here. Quality of the products is also great. Website is also user friendly. Order delivery is quite fast. Overall we can say a good website for fashionable dresses and accessories. I bought soo many products from here and I was fully satisfied with it I. Fully utilise my money by purchasing from here they gives good type and good quality products in a great discount and the home delivery is best if u order something today it can be arrived ur house next day and its product quality is also good. My experience with indianroots was awesome and I recommended u to purchase product form indianroots as there is thousands of branded products available with a great discount. Hey Indianroots is best online shopping site. I ordered many dresses from them like lehenga, suits and other dress material. I like their fabrics and the best part is that there delivery time is very fast. Not even clothes but the wonderful statue and wall art that has been provided by Indian roots is like living in the ancient era. The different types of wall art that Indianroots provided are very unique. Being the lover of ancient era I am very much found of these kinds especially “the brass bullock cart”. It’s one of my favourite and I had brought 2-3 of them. It made my house look even more beautiful. Thank you Indianroots for providing such kinds of stuff. I received offer letter for my new job few days ago. I wanted to look presentable and my best on the job. Therefore, I decided to buy some decent clothes for me. I visited Indianroots and found a huge collection of women’s clothing there, from sarees to lehangas and gowns to anarkali suits. I got so much confused as there were large varieties to choose from. However, I bought some nice tops and kurtis for me. I think my order will be delivered in a day or two. I’m extremely excited! In my sister’s wedding I did all my shopping from Indianroots. I bought a purple and gold lehnga, a pair of golden heels and a matching multicolored Maang Tikka. All the items were stunning but the best item was the Maang Tikka. Everyone loved my look at my sister’s wedding and everyone praised the Maang Tikka. I just want to thank Indianroots for keeping such cool collections!!! I am writing this review to say that I am a big admirer of Indianroots!! This is a truly remarkable website and they have a terrific collection of trendy clothes and accessories. The price range is also quite affordable.